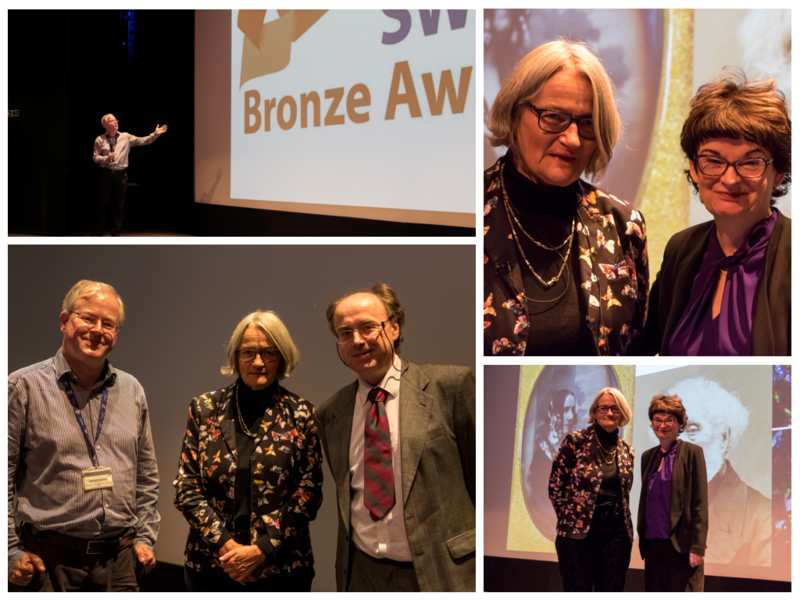 On October 10th, we were delighted to welcome back Professor Ursula Martin from the University of Oxford, to deliver the semester one distinguished lecture series in the Byre Theatre. Earlier in her career Prof Martin was professor of Computer Science here, and in fact only the second female professor in the history of the University of St Andrews. The lectures covered numerous aspects of the history of computing. A particular highlight was to hear about Ada Lovelace’s early work, on Ada Lovelace day. 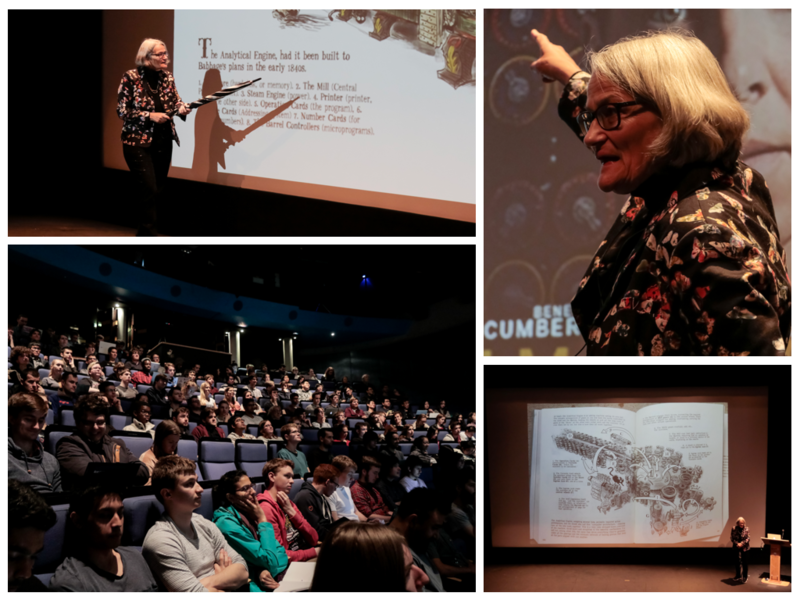 As a trained mathematician and computer scientist who has studied her papers in detail, Ursula has discovered new insights about Ada’s education and work with Charles Babbage. She also focussed on aspects of computing history that are often ignored, such as history of computing in countries other than the USA or UK. Another aspect was how, even today, the contribution of women in history is often ignored, which Ursula herself has been able to correct in some cases. The well received lectures centred around what every computer scientist should know about computer history. Professor Martin is pictured at various stages throughout the lectures and with Head of School, Prof Simon Dobson, DLS Coordinator, Prof Ian Gent and Principal and Vice-Chancellor, Prof Sally Mapstone. Read more about Professor Martin and the individual lectures in what every computer scientist should know about computer history. Recordings of each lecture can be viewed at the end of this post. Images courtesy of Ryo Yanagida. Lecture 1- The Early History of Computing: Ada Lovelace, Charles Babbage and the early history of programming. 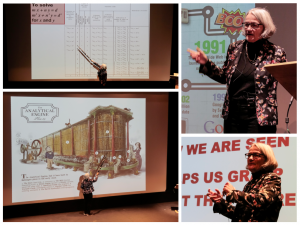 Lecture 2 – Case Study, Alan Turing, Grace Hopper, and the history of programming. Lecture 3- What do historians of computing do, and why is it important for computer scientists today.